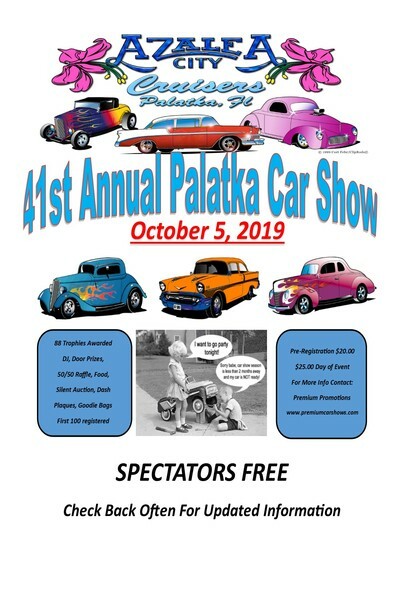 The Azalea City Cruisers is an active, family oriented, non-profit organization, encouraging the preservation, restoration, and enjoyment, of the most popular and enduring activity to ever come out of America - The American Hot Rod. Last Update February 17, 2019. Palatka Air/Car Show: Club Member Art Reddick's 1956 Chevy big hit.